My last visit to Dubai was in 2007, just before the Global Financial Crisis. There was so much construction going on that I knew I would have to return to check on its progress. I finally returned 11 years later, at what feels like the peak of another financial bubble, and like last time there was construction everywhere. I was here on a stopover, so rather than flying through I planned a full day to have a look around. I arrived in Dubai via Sharjah, which is the neighbouring emirate. Dubai and Sharjah have grown so big that they now merge into each other. Unfortunately like my last trip I came during summer. After sweating it out in Sharjah I realised I wasn’t going to get much sightseeing done in Dubai. 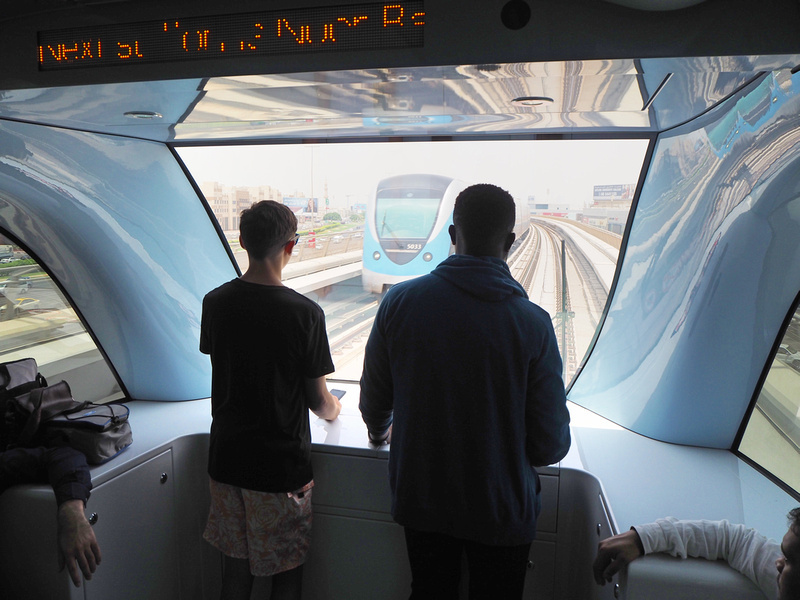 Since my last visit the Dubai Metro has opened, which is a game-changer for getting around. There are two lines now, with more lines planned. The red line travels from the airport and parallel to the coast. My hotel was next to a metro stop, so I planned my day around what I could see along the metro. The trains are driverless and the stations are gloriously air conditioned. The carriages have a separate female section, and also a Gold Class section at the front if you want to go first class. The biggest change that has happened since I was last here has been the completion of the Burj Khalifa, so that was the most obvious way to start my day. 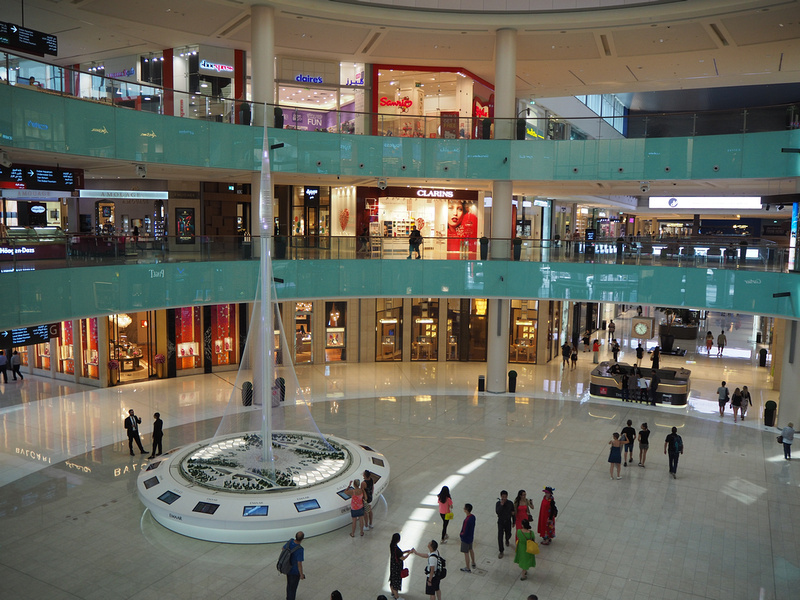 The tower is next to the Dubai Mall which has its own metro stop. The metro is about 10 minutes walk from the mall, and it’s connected by an air conditioned walkway. I don’t usually go up towers unless they are super-tall or iconic. I went up the Petronas Twin Towers recently, and I will go up the Landmark81 in Saigon soon. I had considered going up, but visibility wasn’t the best on the day I was there. 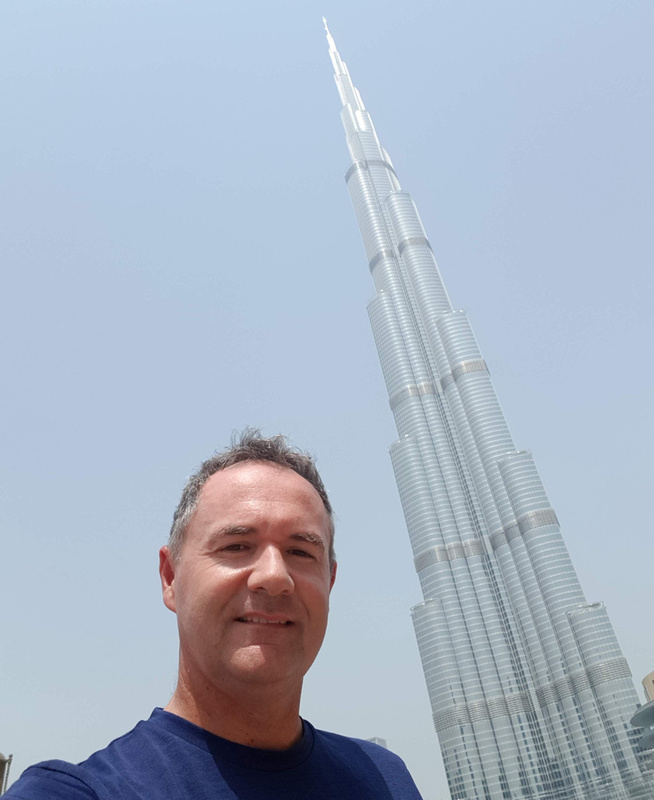 I only needed to go outside briefly to get the obligatory Burj selfie, then I was back inside. The brief foray outside reminded me to not even consider going out for a walk (lesson learned in Sharjah), so my day was reduced to mall hopping on the metro. 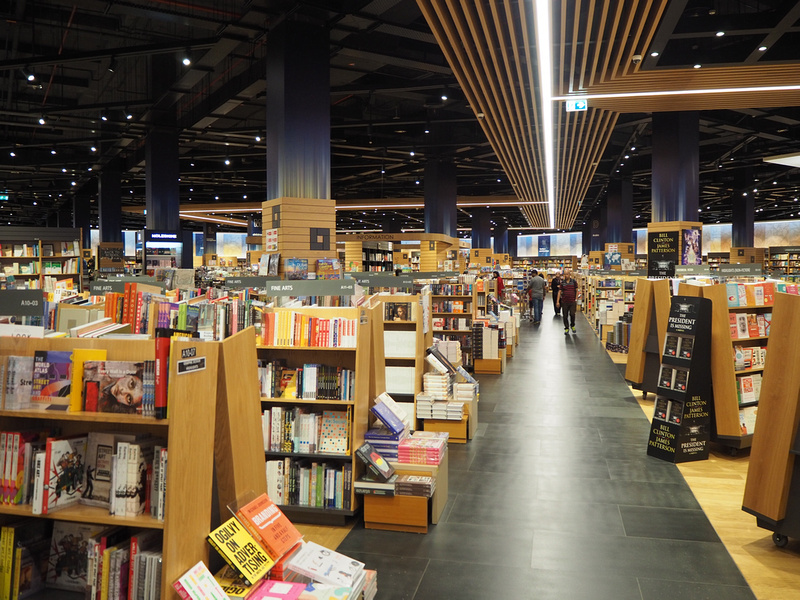 I felt bad that I was going to be hanging out at malls all day, then I found that the Dubai Mall has a Kinokuniya book store. 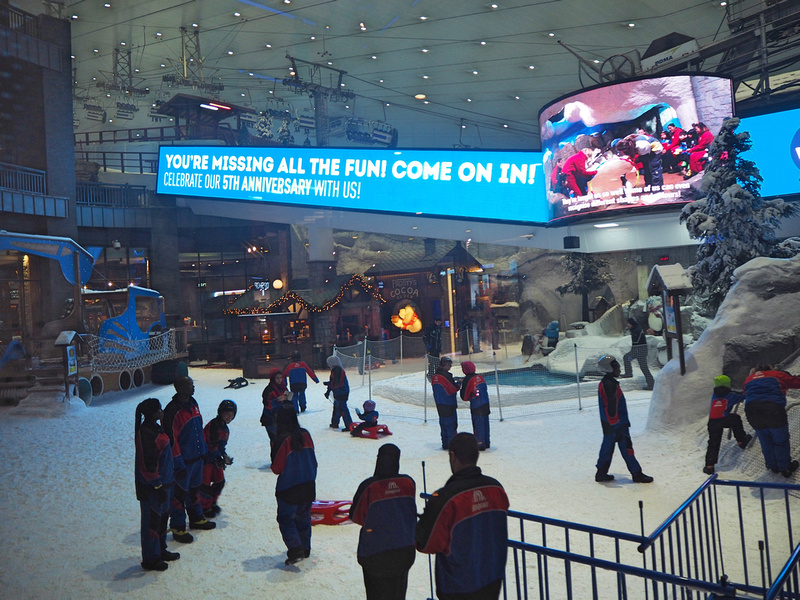 My next stop was the Mall of the Emirates to see that other outlandish Dubai project that is Ski Dubai. Eventually my body demanded a real coffee, so I had to stray beyond the malls. I looked on Google Maps for some cafes nearby. One showed up called The Sum Of Us, and I knew without even looking that it would be an Australian-style hipster cafe (The Sum of Us is an Australian play/film). It was everything I hoped it would be. 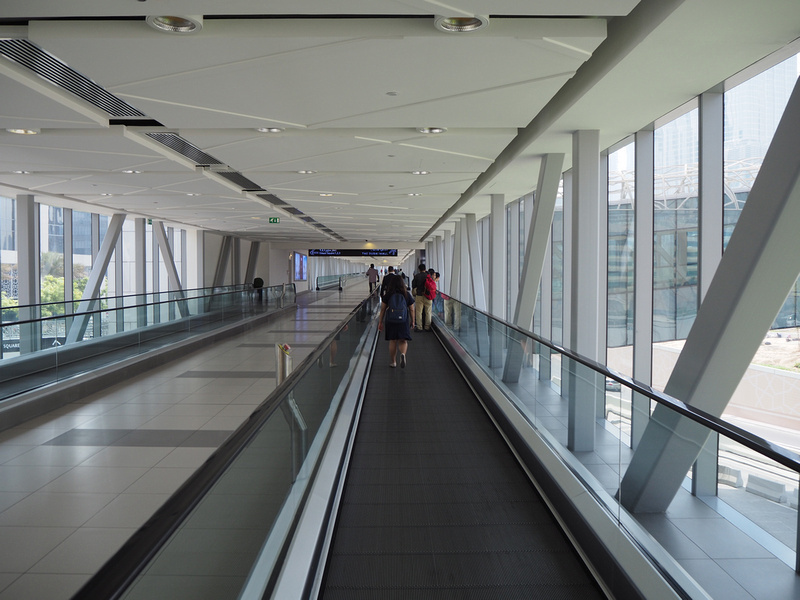 Straying beyond the air conditioned confines of the malls I was reminded how unwalkable Dubai can be. It feels like the city was planned by a prince who has never had to walk a day of his life in a city. Big cities should be walkable. I’ve walked the length of Manhattan, and I’ve walked all day across London and Tokyo many times. There are too many big highways that make walking around hard. I’ll take a Barcelona Superblock over a city scarred with superhighways any day. 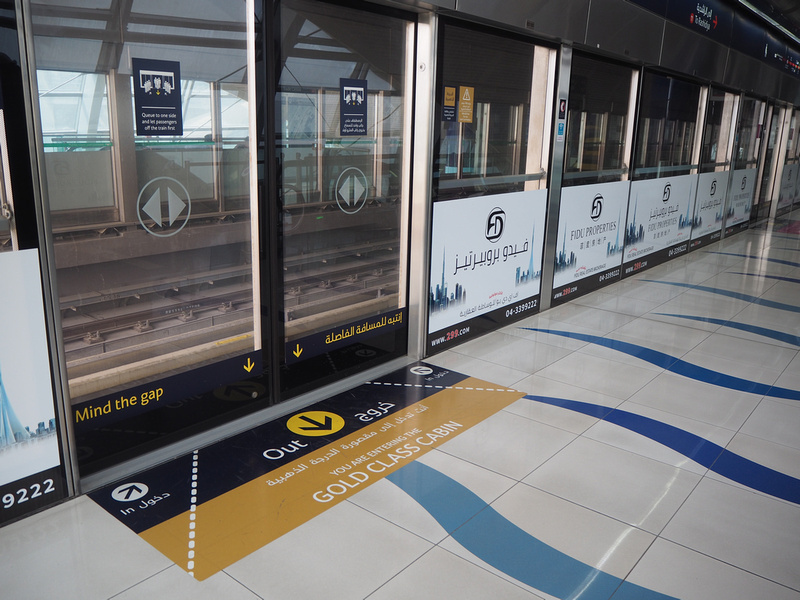 Having said that there are walkable areas of Dubai. Once the worst of the midday heat was over I spent the late afternoon wandering around Deira. 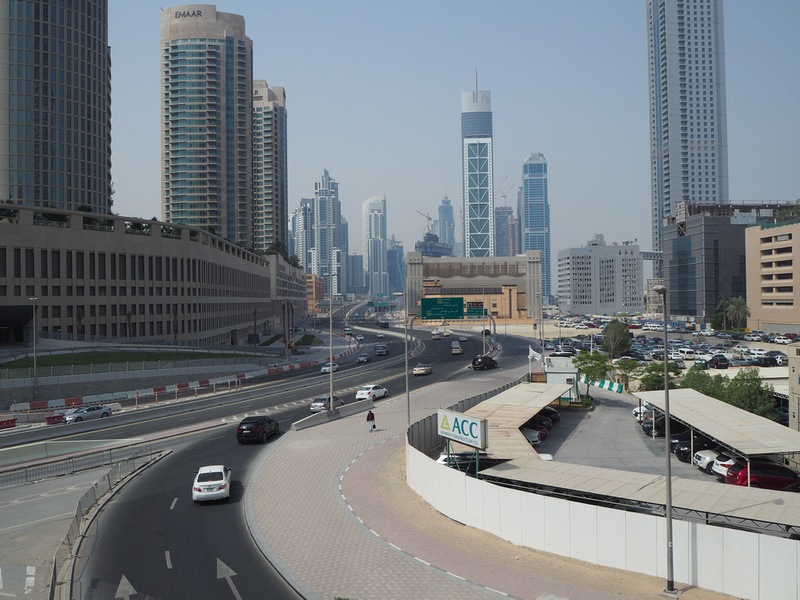 This is one of the oldest neighbourhoods in Dubai, and it’s built at a more human scale. 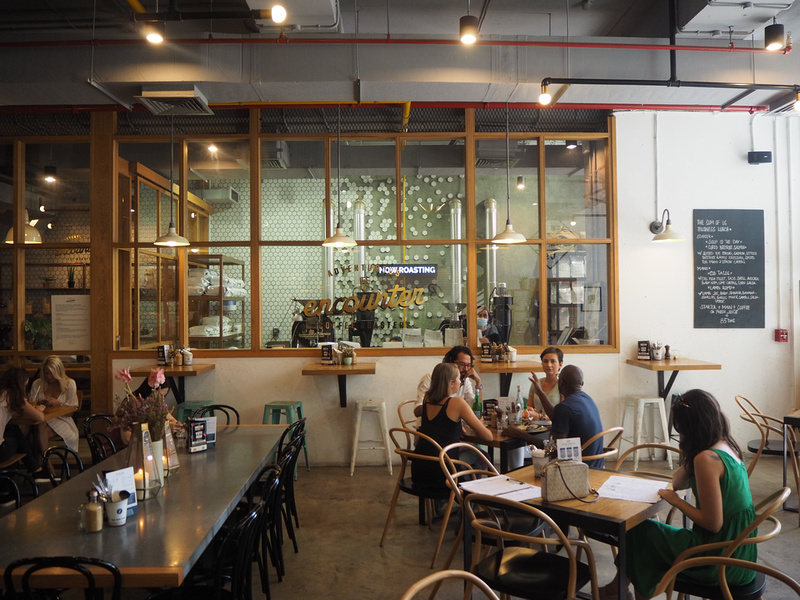 You can walk around here, and there is enough street-level activity to make it interesting. 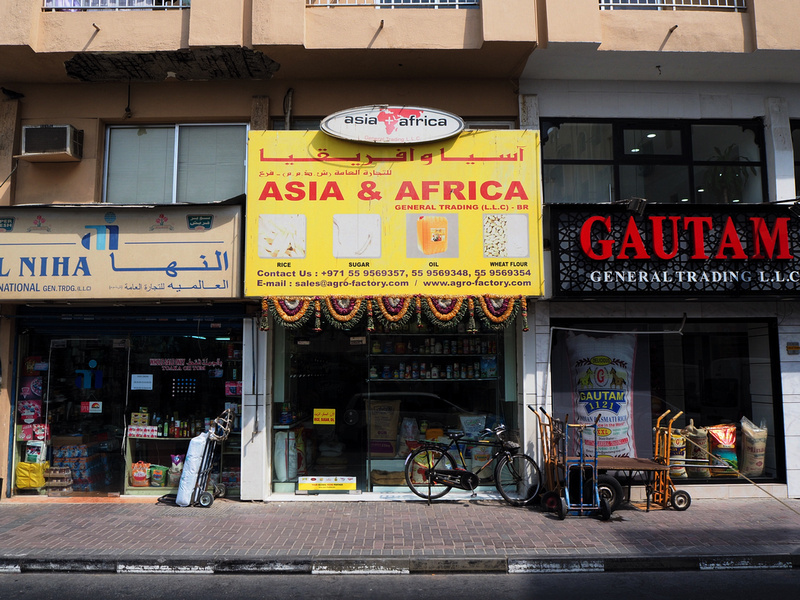 In Deira you feel like you are in a trading hub where Asia and Africa meet. I like that there are hotels named after Kinshasa. 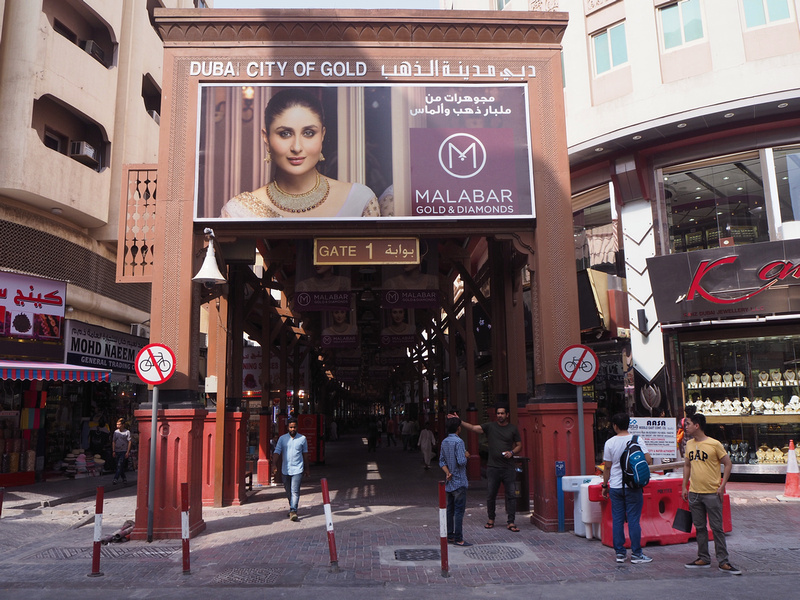 And the gold souk has resisted total modernisation, with its walkways still being outside (though heavily shaded). One of the most interesting aspects about Dubai is that it’s full of migrants from around the world. I went to another cafe and was served by a guy from Bhutan. Apart from once at a travel trade show, I’ve never met anyone from Bhutan. He said there were about 300 Bhutanese in Dubai. And like my experience in Sharjah I also met a lot of Filipinos here. In fact most of the human interaction I had in Dubai was with Filipinos, so I may as well have been in Davao. In solidarity for the workers of the Philippines I went to a Filipino restaurant for dinner. It made me realise that I’m long overdue for a Philippines revisit. 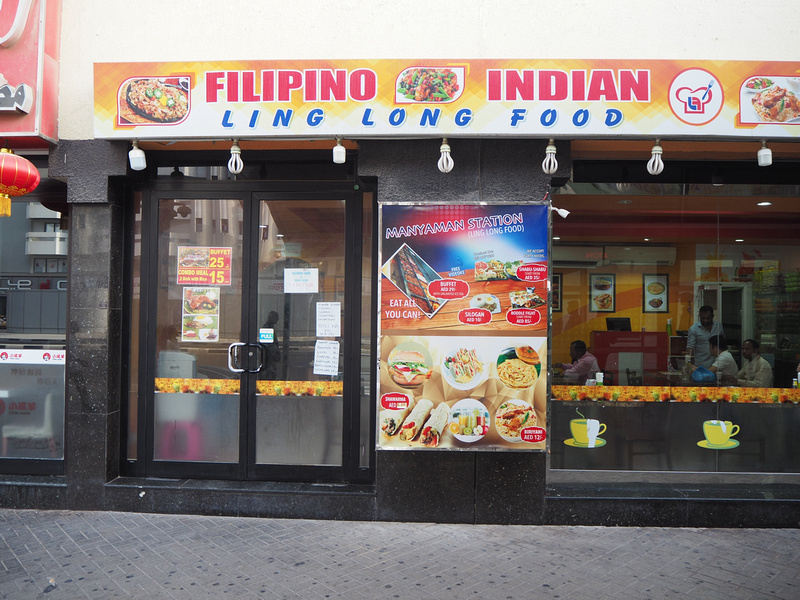 Most of the labour workforce in Dubai is from South Asia, so there are plenty of cheap Indian restaurants. 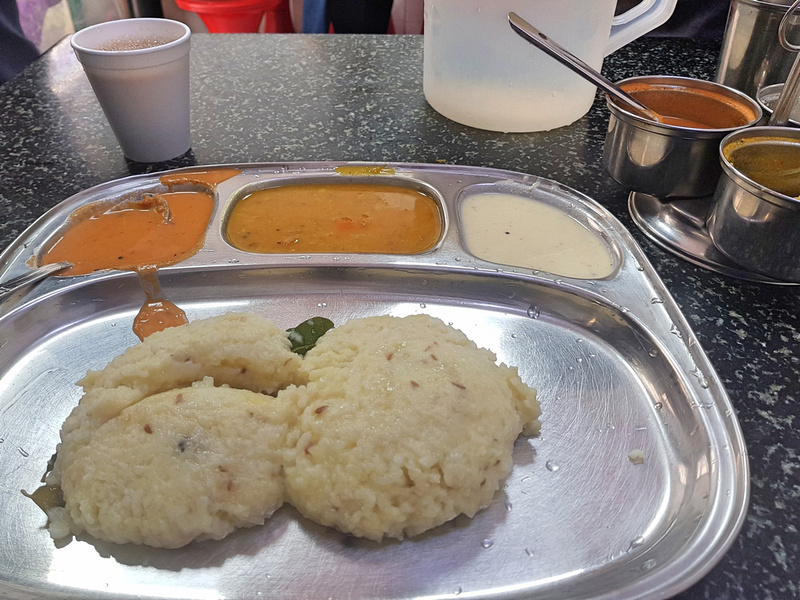 No need to start your day at a hotel buffet when you can have an Indian breakfast and tea for a couple of dollars. 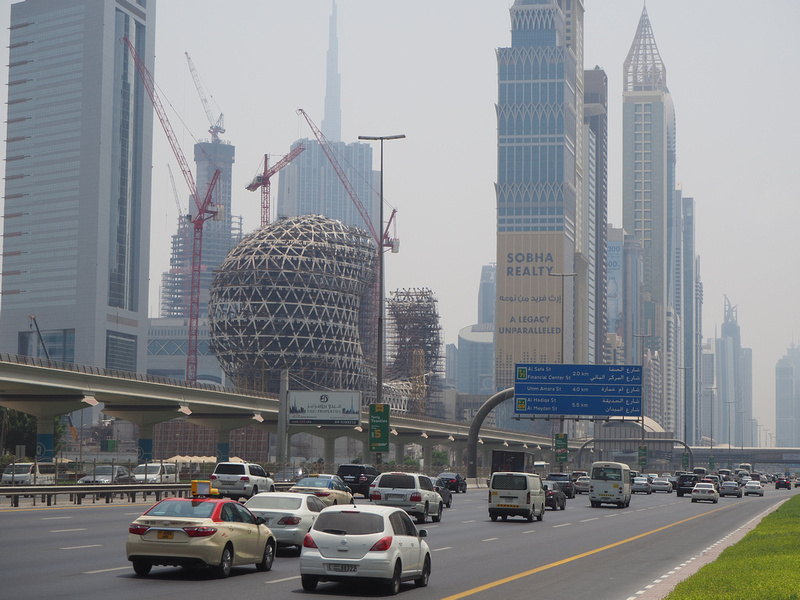 Despite Dubai being such a pedestrian-hostile environment, I find it a fascinating city. If they keep expanding the metro, and go ahead with the plan to plant one million trees by 2020, hopefully it will become more pedestrian friendly. Dubai is also interesting for the architectural mega projects. At the Dubai Mall there was a model of the Dubai Creek Tower, which is expected to be over one kilometre high. So far the foundations have been prepared but work remains on hold. So that was my one-day stopover in Dubai, 2018 edition. No doubt I’ll be back on the way to somewhere else, but next time I’ll not visit during the summer. This region of the world fascinates me James. I visited Doha in Qatar last year and enjoyed it immensely. Something about an almost exclusive man-made focus making for a special place. After 1 month I had my fill but in the same regard, neat to see the limits of technology in many ways. Fun post buddy. Great post, Really enjoyed. Actually I am planning to visit dubai this year. Thanks a lot for sharing this post. Their love for supercars might be the reason for their never-ending highways! I love Dubai! You can go to just about any destination and find natural beauty, but Dubai is the world leader on man made marvels! met some Filipinos. Time for you to revisit Philippines. I visited Dubai in 2016, and it seems that in a couple of years Dubai got some new landmarks. Agreed with you that visiting Dubai in summer is not a good idea though.